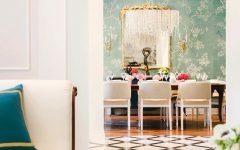 Roomhints compiled this comprehensive guide to ottomans and coffee tables, featuring the work of interior designer Angela Grace. 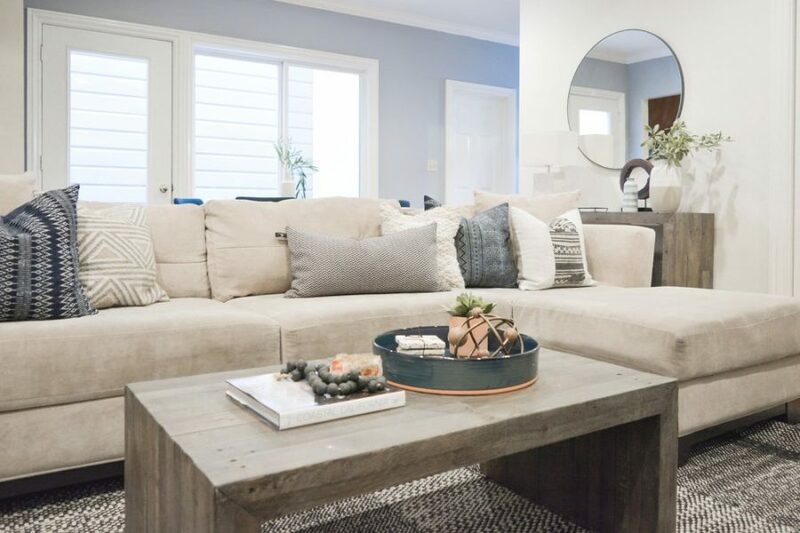 A Bay Area native, Angela has been in the home design space for over 5 years. 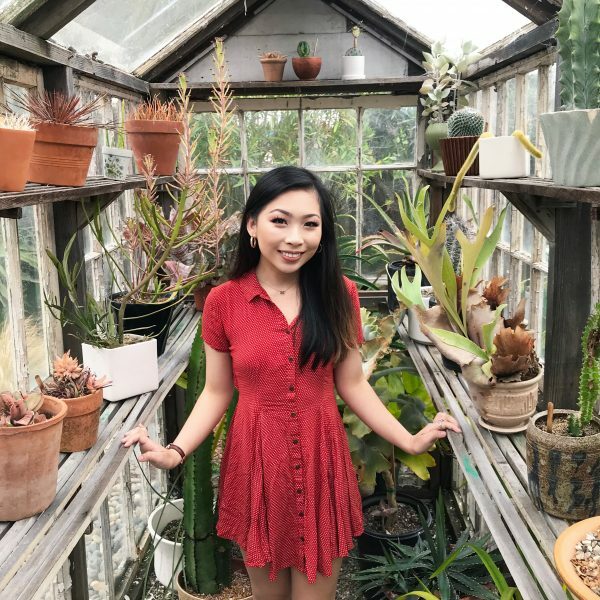 Check out her projects below and let us know what you think! 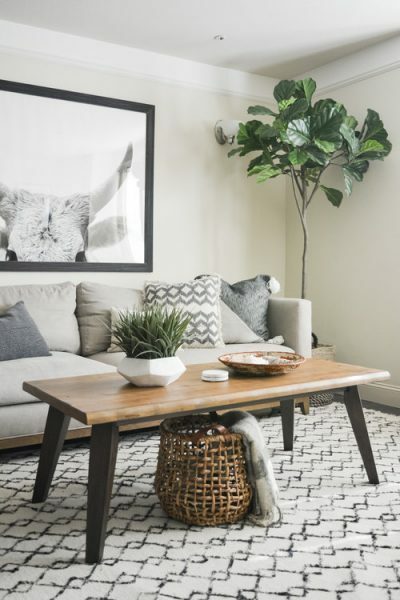 Coffee tables and ottomans both serve similar functions: they both can offer storage, function as tables, and serve as a central focal point and spot for decor. 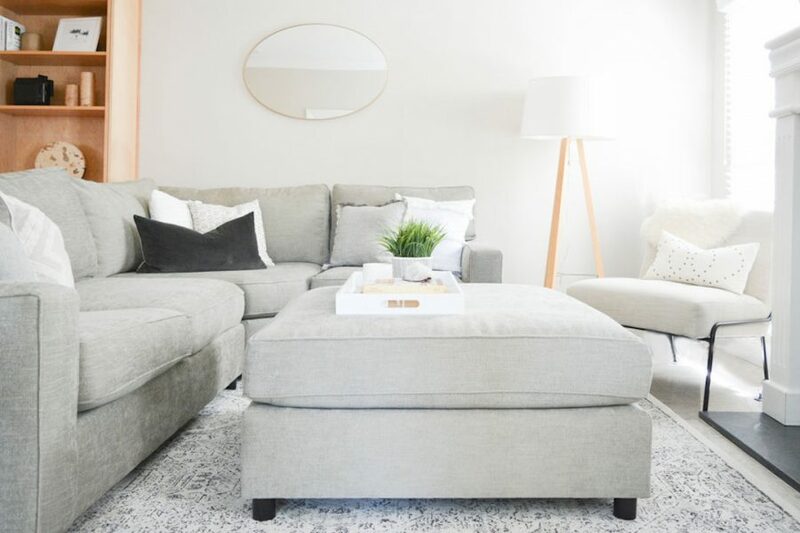 While the traditional coffee table has reigned supreme, the ottoman is a strong challenger and offers many benefits of its own. Can’t decide between a coffee table or an ottoman? Here’s your one-stop-shop for all of the pros and cons to each. If the perfect coffee table has eluded you, maybe you haven’t considered an ottoman. 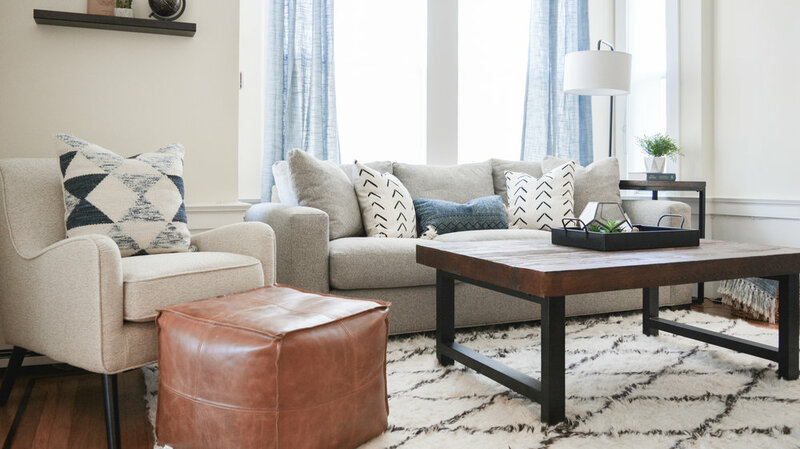 We’ve come up with the top 3 reasons why an ottoman may be right for you. An ottoman screams comfort from both a design and functional stand point. 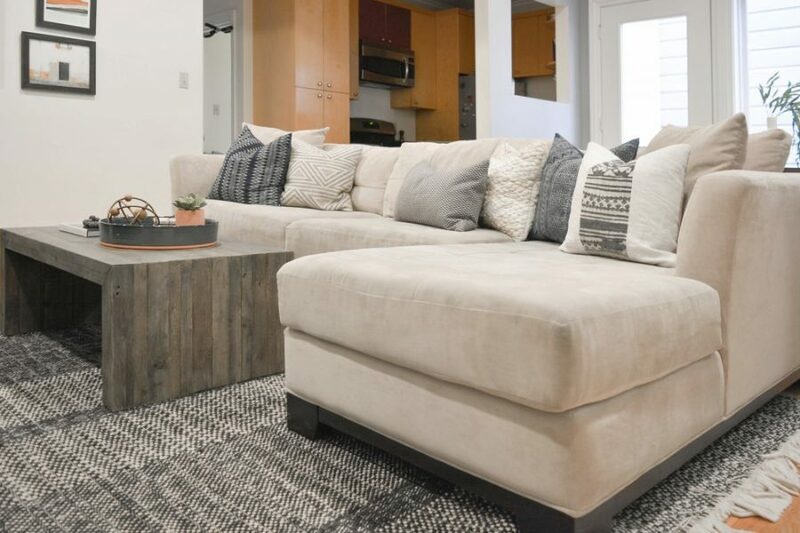 If you’re tired of putting your feet up on a hard coffee table with uncomfortable edges, you might enjoy swapping your coffee table for an ottoman. 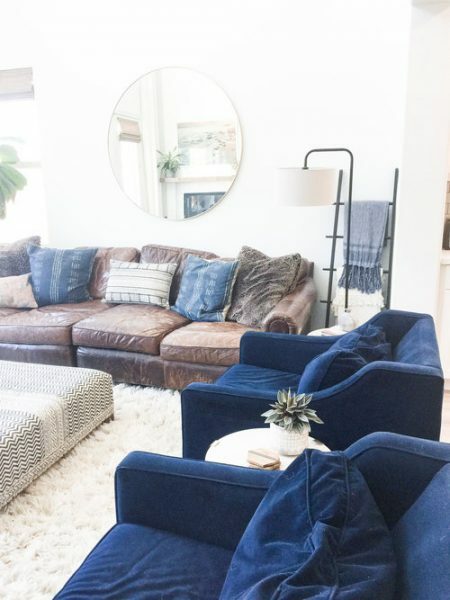 Ottomans are perfect if you love having friends and family gather around the sofa to talk, watch TV, or play board games. Its soft edges are not only ideal for families with young children, but are also easy to get around, creating a comfortable flow in the room. 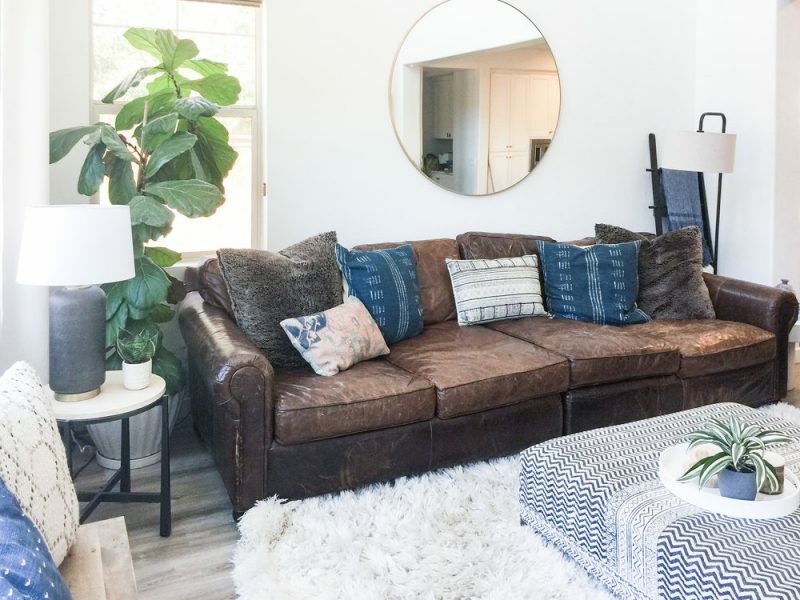 This print ottoman (similar style at Living Spaces) perfectly matches the fun aesthetic of this living room, which incorporates many different materials from leather to velvet. 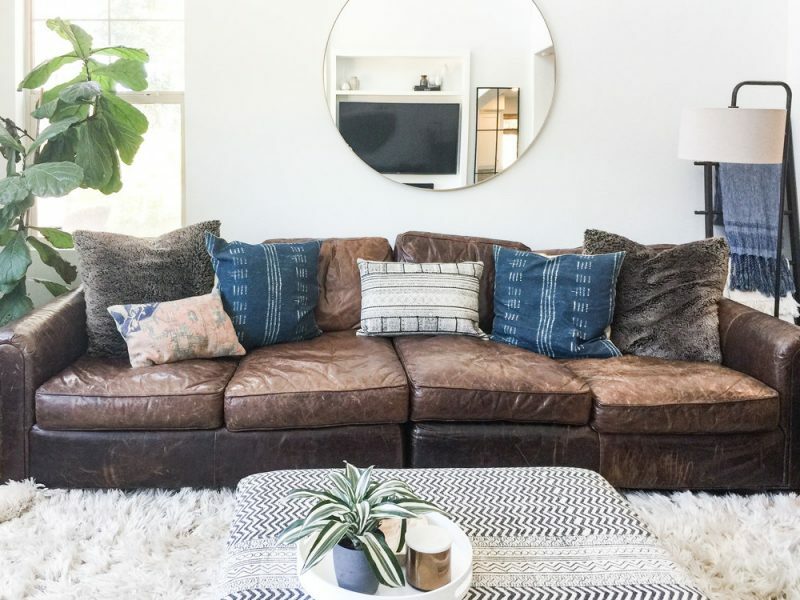 Against a neutral shag carpet and rich leather sofa, the pattern feels fun and unexpected. The plush rug embodies how this space is centered around comfort, and this ottoman doesn’t take away from that at all. Ottomans are an extremely functional and versatile piece of furniture. 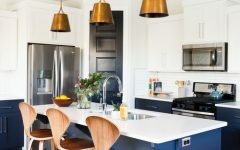 They can be a huge a storage-saver, and the best part is that all of that storage is hidden! 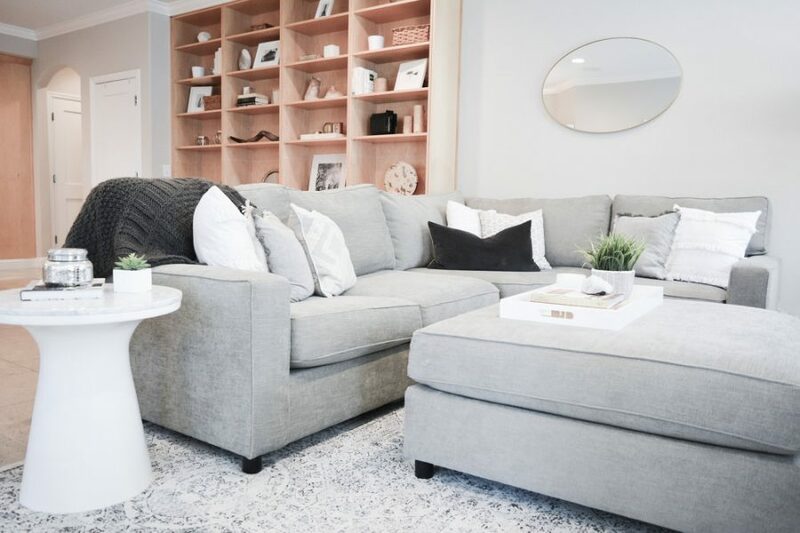 Hidden storage is great for keeping extra pillows and blankets on hand without having them out in the open for everyone to see, or for throwing in random clutter when you need to quickly tidy up the house (we all do it). An ottoman also offers extra seating for when you have guests or when you want to pull a seat up closer to the TV. 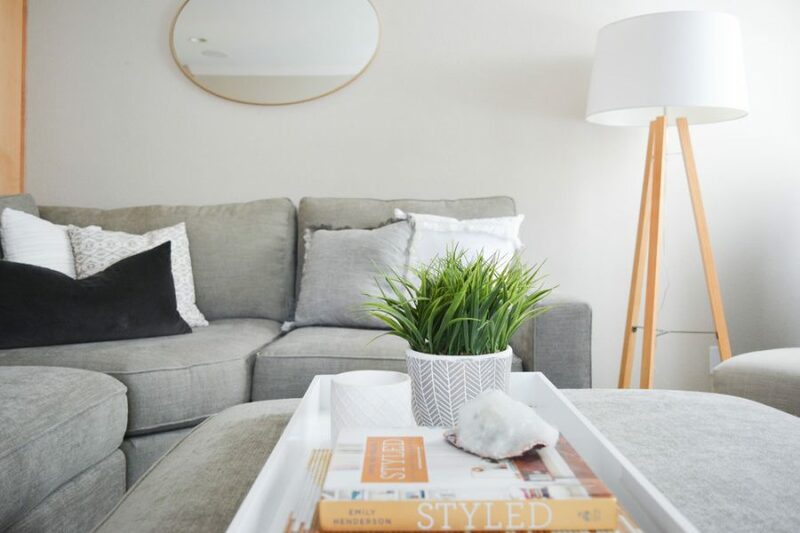 Because it’s a piece of furniture you can move easily (a lot more easily than a coffee table), it offers a lot of flexibility in terms of seating options and you can repurpose it for many different uses. 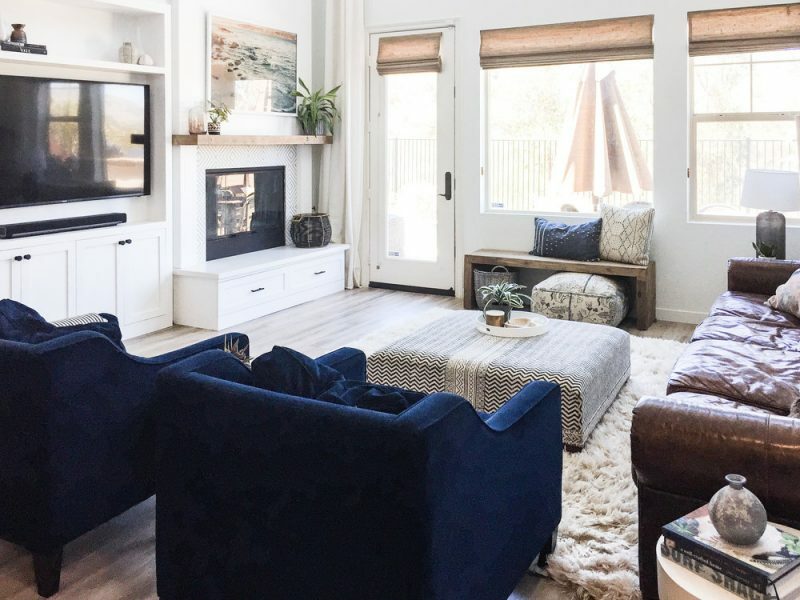 Plus, an ottoman works in so many different spaces — if you get tired of it in your living room, you can easily move it to the bedroom or den. 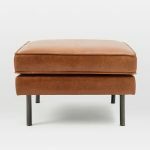 This ottoman from Pottery Barn does it all: it acts as storage, a table, a leg rest, and a seat. 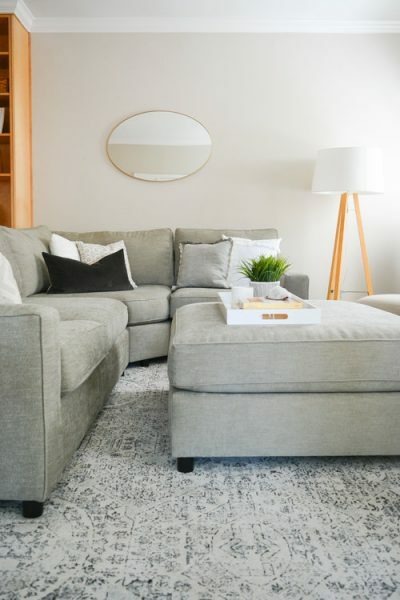 It pairs with the sofa, but because the design is very simple and neutral, the ottoman looks like an extension of the sofa while not appearing tacky as matching furniture sets may tend to appear. 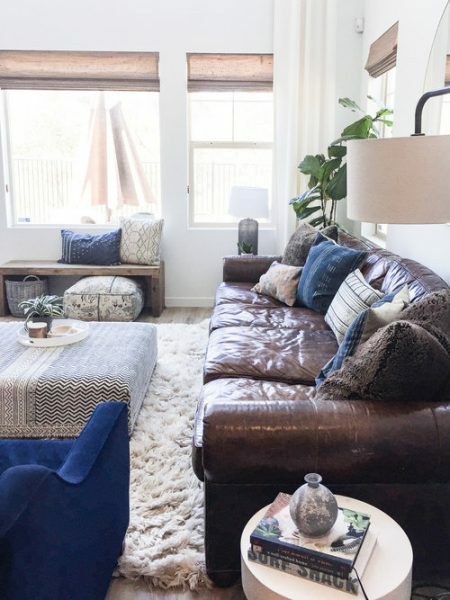 The ottoman definitely completes a neutral cozy space. 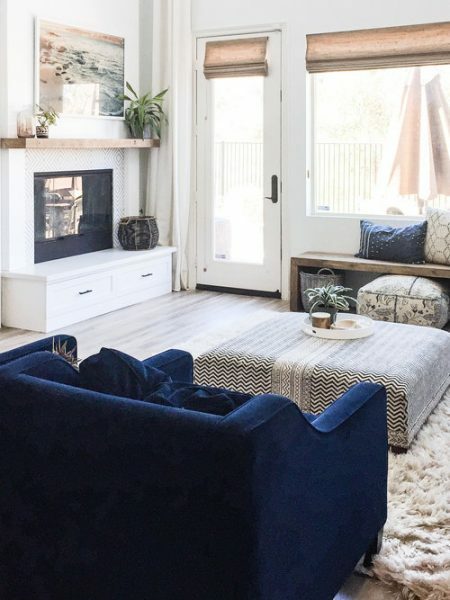 The epitome of cozy charm, an ottoman adds softness to a room, especially if there are a lot of formal pieces, linear/angular lines, or hard materials. 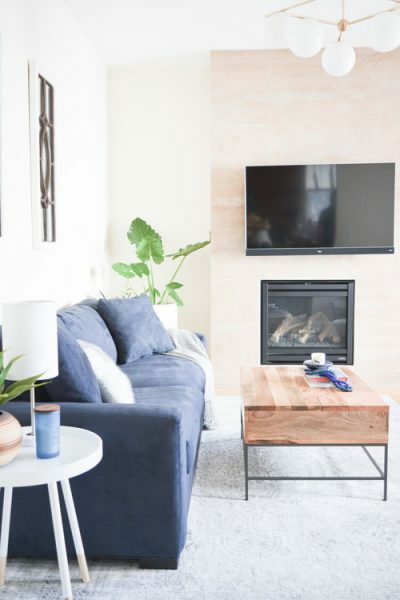 Because it softens an area visually and gives off a comfortable vibe, it’s a good choice for spaces that are mainly used for relaxation and lounging. 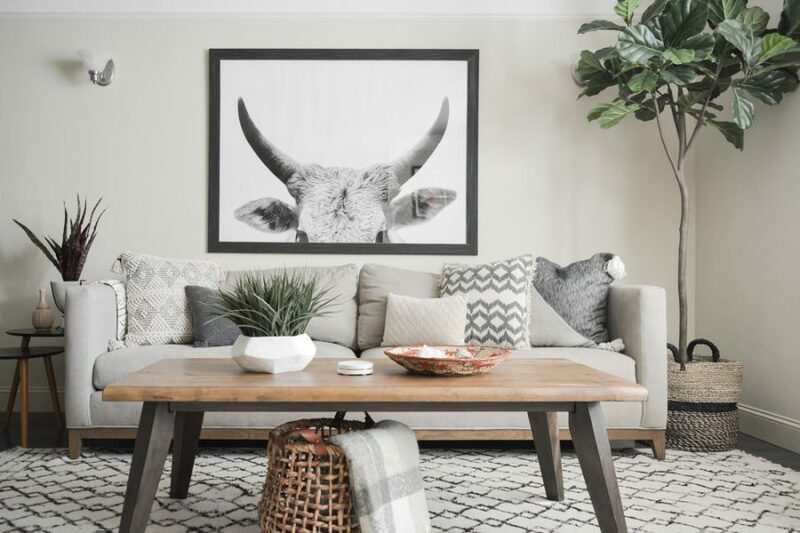 However, while coffee tables are typically more formal and ottomans can come off more laid-back (and while this perfectly reflects our casual, everyday lives! ), they can still be styled up or down. For example, going with a leather or velvet ottoman brings casual sophistication to your space. Lastly, you can play with the upholstery and patterns of your ottoman to match the rest of your space. 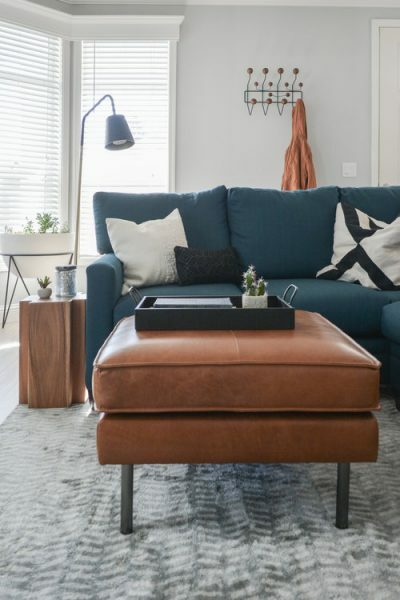 This leather ottoman from West Elm is the epitome of casual sophistication. It brings comfort to the room, but still looks formal and elevated because of the leather. 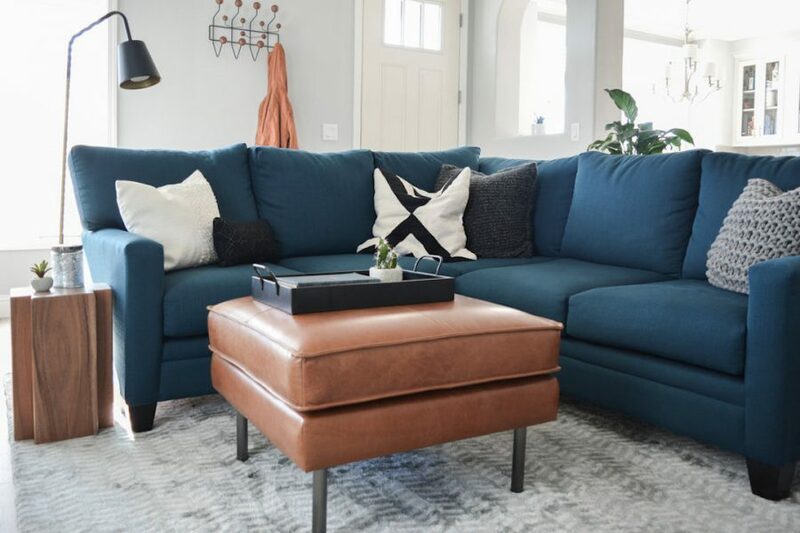 We wanted a material to contrast with the sectional, and leather was the perfect option because it is durable and balances out the space in terms of material and color (the brown looks gorgeous against the teal). Still, there is nothing like the tried and true coffee table. 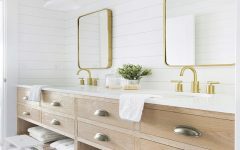 It is a classic design piece that offers so many benefits; here are a few. 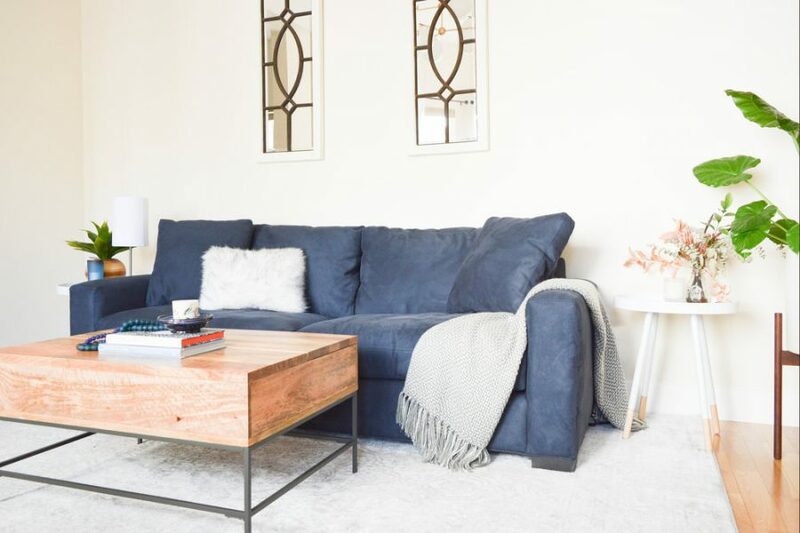 Because coffee tables are typically made of hard materials, they’re generally easier to clean and you don’t have to worry about wear and tear as much, making the piece more usable in this sense. Coffee tables are also more sturdy, and offer more stable surface area for you to write or eat on. 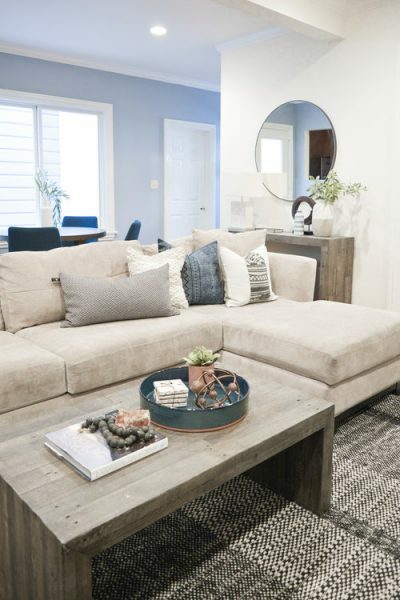 While ottomans add functionality in terms of seating and leg space, coffee tables add functionality for eating and drinking, which is great for those who love to entertain. 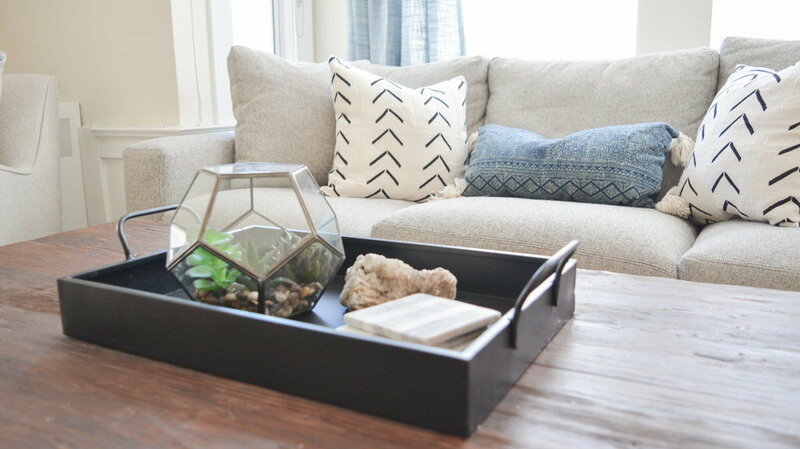 This coffee table provides plenty of surface area for decor, food, and drinks, and grounds the space because it looks so sturdy (and is!). 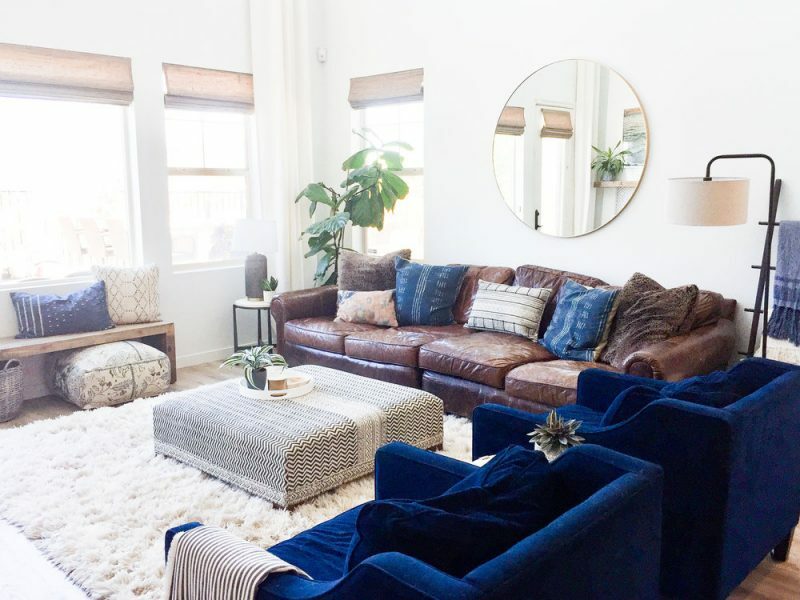 Because coffee tables typically have less visual weight, they open up a space visually and appear more open and airy, which is great in small spaces or if the furniture is dark and heavy (ottomans can make a space look like it has too much couch!). Because they’re a hard material, they introduce a different material and design element whereas ottomans may add too much fabric to a space. 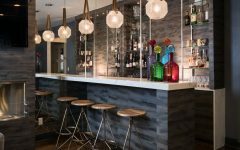 They are typically the better option for more formal spaces. 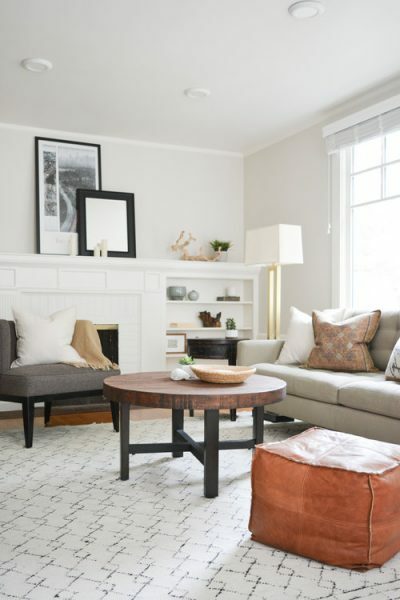 There are also a lot more design options for coffee tables, and you can choose between many different sizes, shapes, materials, and design features to choose what’s best for your space. 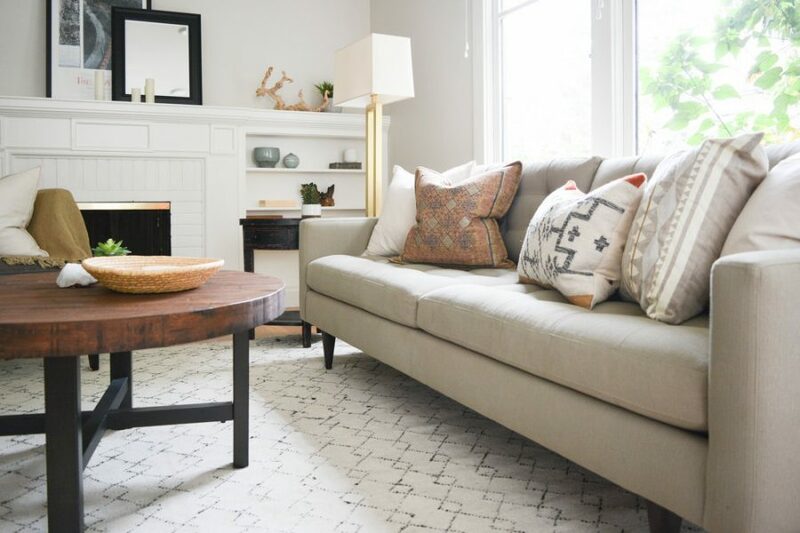 Lastly, coffee tables offer a view of the rug you’re using and can also be styled with decor. This coffee table lets light flow through and displays the patterned rug below. It also introduces a different material against the fabric of the sofa and chair. Bottom Line: How do you choose? When deciding between a coffee table and an ottoman, you need to consider your aesthetic as well as your lifestyle. How do you use the room? Which offers the most practicality for you? How big is the space? 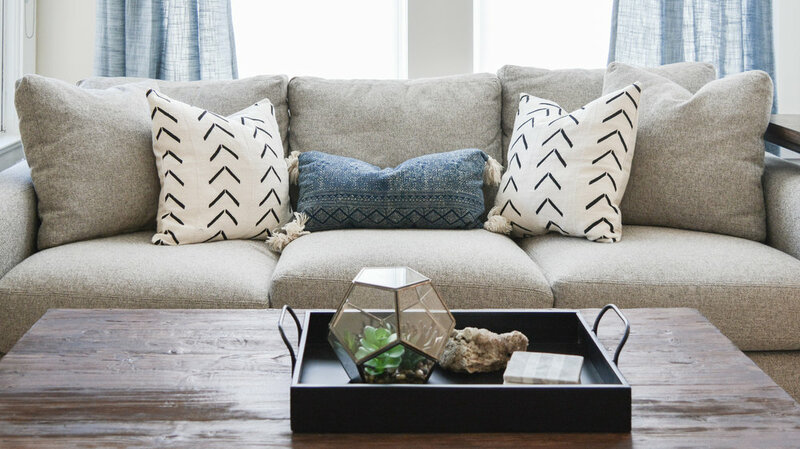 What material would look best with your space — an upholstered item or a hard material? 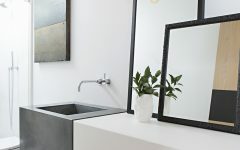 Do you use your https://www.roomhints.com/12-layout-ideas-for-your-square-living-room/living room more formally or informally? Do you entertain, need storage, or have kids? 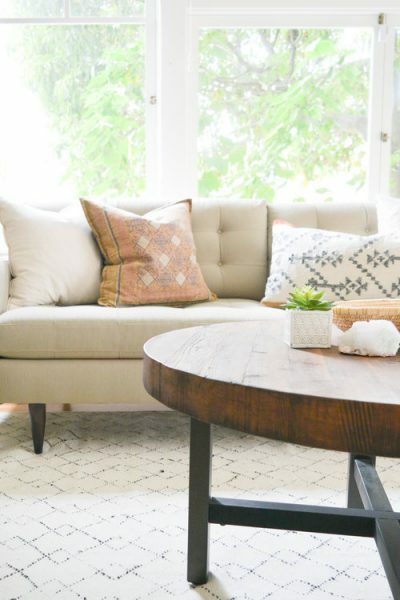 When possible, it is perfectly fine to mix and match with both coffee tables and ottomans because they don’t clash at all. If anything, they contrast nicely and add visual interest. 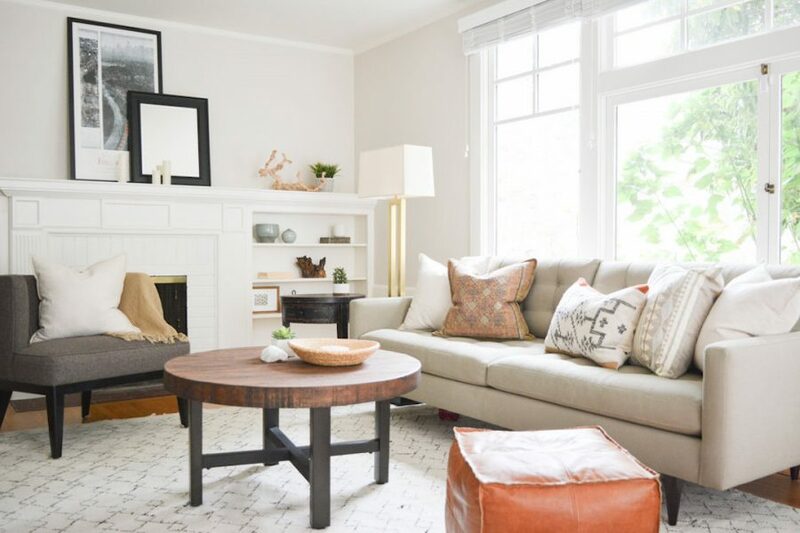 If you have a large seating area and two sets of sofas, you could use a coffee table and an ottoman for each. 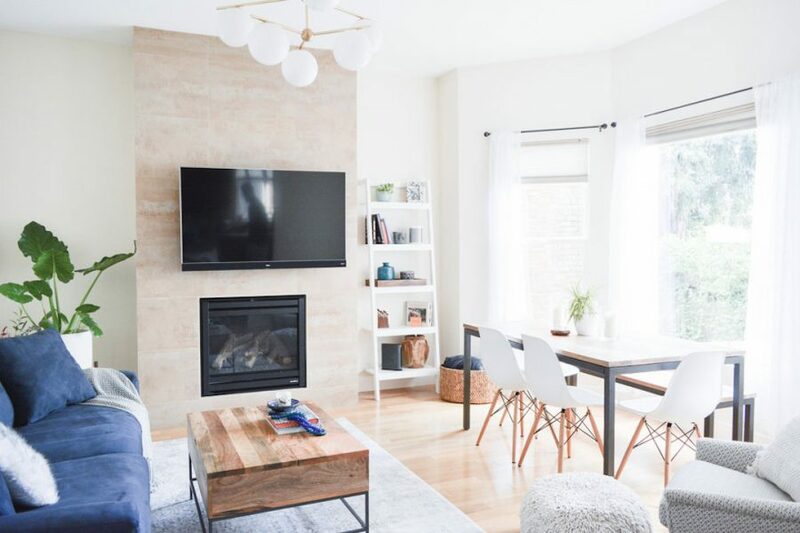 Having both makes your space look interesting while giving you all of the benefits of both, making your space that much more livable! Which do you prefer, ottomans or coffee tables?